Go behind the scenes of one of the world’s biggest parties during this half-day small-group tour in Rio de Janeiro. 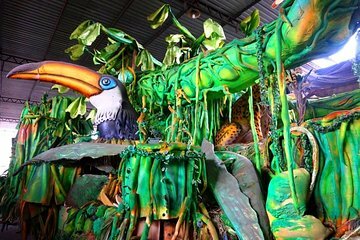 Step inside the Sambadrome, discover the site of Pedra do Sal where samba was born, learn about the history of Carnaval throughout the tour, and see the ateliers where the famous Carnaval floats are made. This tour is capped at 12 travelers for a personalized experience.